Climate change is projected to have a strongly negative effect on water supplies in the arid mountains of South America, significantly impacting millions of people. As one of the poorest countries in the region, Bolivia is particularly vulnerable to such changes due to its limited capacity to adapt. Water security is threatened further by glacial recession with Bolivian glaciers losing nearly half their ice mass over the past 50 years raising serious water management concerns. This review examines current trends in water availability and glacier melt in the Bolivian Andes, assesses the driving factors of reduced water availability and identifies key gaps in our knowledge of the Andean cryosphere. The lack of research regarding permafrost water sources in the Bolivian Andes is addressed, with focus on the potential contribution to mountain water supplies provided by rock glaciers. This research was funded by a Natural Environment Research Council CASE award with Oxfam and Agua Sustentable. The authors would like to thank the Agua Sustentable team in La Paz for their support and help with fieldwork in Bolivia. The authors would also like to thank Helen Jones at Exeter University for drawing the figures. The manuscript was improved by insightful comments from three anonymous reviewers. Bogoyavlenskiy, D., and A. Siggner. 2004. Chapter 2: Arctic Demography, Arctic Human Development Report. Stefansson Arctic Institute, 27 pp. http://hdr.undp.org/en/reports/regionalreports/other/arctic_2004_en.pdf. Francou, B., M. Vuille, V. Favier, and B. Cáceres. 2004. New evidence for an ENSO impact on low-latitude glaciers: Antizana 15, Andes of Ecuador, 0°28′S. Journal of Geophysical Research 109. doi: 10.1029/2003JD004484. Galarza, E., and R. Gómez. 2011. Cities in the Andes: Threats and hopes. Centro de Investigación, Universidad del Pacifico. Retrieved June 12, 2013, from www.grida.no/publications/et/ep4/page/2635.aspx. Hays, J. 2011. Water shortages: Solutions and innovations. Retrieved June 12, 2013, from http://factsanddetails.com/world.php?itemid=1534&catid=51&subcatid=325. ICE. 2011. Managing water locally: An essential dimension of community water development. The Institution of Civil Engineers, Oxfam GB and WaterAid. Retrieved June 12, 2013, from http://www.ice.org.uk/ICE_Web_Portal/media/Ecomms/managing_water_locally.pdf. Jordon, E. 2008. Glaciers of South America: Glaciers of Bolivia. Satellite Image Atlas of Glaciers of the World. United States Geological Survey 18th March 2008. Retrieved June 12, 2013, from http://pubs.usgs.gov/pp/p1386i/bolivia/intro.html. Machicao, M., and E. Garcia. 2007. Global warming melts Andean glaciers towards oblivion. Planet Ark, June 8. Retrieved June 12, 2013 from http://earthhopenetwork.net/Global_Warming_Melts_Andean_Glaciers_Toward_Oblivion.htm. Magrath, J. 2005. Glacier melt: Why it matters for poor people. Oxfam. Retrieved June 12, 2013, from http://www.scribd.com/doc/52828625/Glacier-Melt-Why-it-matters-for-poor-people. Mejia, A. 2012. Water scarcity in Latin America and the Caribbean: Myths and reality, Rosenberg international forum on water policy. Retrieved June 12, 2013, from http://rosenberg.ucanr.org/documents/argentina/Majia%20Final%20082010.pdf. Oxfam. 2009. Bolivia: Climate change, poverty and adaptation: Executive summary. Oxfam International. Retrieved June 12, 2013, from http://www.oxfam.org/sites/www.oxfam.org/files/bolivia-climate-change-adaptation-summary-0911.pdf. Stewart, B. 2010. Melting Glaciers of Bolivia’s Cordillera Real. ICE Case Studies Number 236, December 2010. Retrieved June 12, 2013, from http://www1.american.edu/ted/ice/aymara.htm. Toomey, G. 2011. Discovering Chile’s hidden water treasures—Rock glaciers. UniWorld Spring 2011. Retrieved June 12, 2013, from http://www.aucc.ca/wp-content/uploads/2011/07/lacreg-discovering-chiles-hidden-water-treasures-2009-2010-e1.pdf. UN. 2013. Internationally Decade for Action ‘Water for Life’ 2005–2015. Retrieved June 12, 2013, from http://www.un.org/waterforlifedecade/water_cooperation.shtml. UNFCCC. 2007. Climate change: Impacts, vulnerabilities and adaptation in developing countries. United Nations framework convention on climate change. Retrieved June 12, 2013, from http://unfccc.int/resource/docs/publications/impacts.pdf. Water.org. 2012. Water and sanitation market assessment: potential regional viability of watercredit and microfinance solutions in Bolivia: Executive Summary. July 2012. Retrieved June 12, 2013, from http://watercredit.org/wp-content/uploads/2013/01/Bolivia-WC-RMA-Executive-Summary-July-2012-v2.pdf. WHO. 2012. Linking poverty reduction and water management. Retrieved June 12, 2013, from http://www.who.int/water_sanitation_health/resources/povertyreduc2.pdf. WMO. 2011. 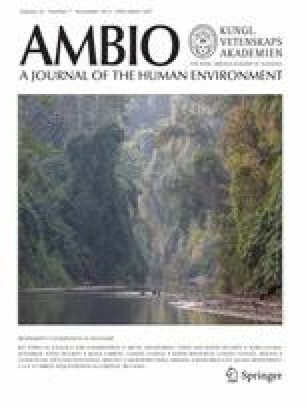 Climate information and water management: Story from the Andes [Online]. World Meteorological Organization. Retrieved June 12, 2013, from http://www.wmo.int/pages/prog/wcp/cop16/COP16story_water.php. World Bank. 2008. Retracting glaciers impacts economic outlook in the Tropical Andes, 23 April 2008. Retrieved June 12, 2013, from http://web.worldbank.org/WBSITE/EXTERNAL/COUNTRIES/LACEXT/0,,print:Y~isCURL:Y~contentMDK:21739254~pagePK:146736~piPK:146830~theSitePK:258554,00.html.